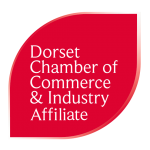 Dorset Chamber has partnered with some of the leading industry experts to launch brand new Customs Declarations Training, designed to prepare businesses and trade professionals for the future of trade. Made possible through the HM Treasury and HMRC’s investment in training provision in this area, the training is aimed at increasing capacity of the sector ahead of March 2019. To help with the costs associated with preparing for EU-exit, the Government is offering grants covering up to 50-70% of the cost of training your employees. Closing date for grant applications is 5 April 2019. Ensure you enrol now to be eligible for this funding. Click here to find out more, enrol to the programme and get ready for the new world of trade. See their latest training and events here.